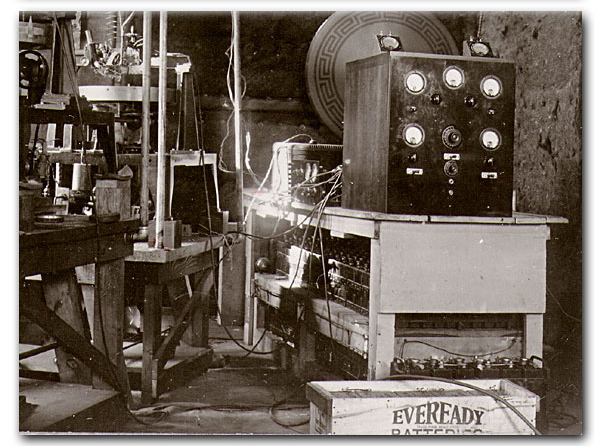 .The first “Edison Hour” broadcast aired over WJZ on February 11, 1929. It was captured at Edison’s Columbia Street studio in Orange, New Jersey, which housed the low-speed recording equipment used to make these experimental airchecks (above). The recordings were made on 12” discs at 30 rpm, using a very thin ( .00379”) cutting stylus, and they survive at the Edison National Historic Site. The technical problems — most notably some severe speed fluctuations, and noise from a power tube that “went Democratic” in the words of the Edison engineer — are distracting at times but of relatively small concern considering the rarity of airchecks from this early period of American broadcasting. The broadcast celebrated the birthday of Thomas Edison, who spoke briefly via relay from his home in Fort Myers, Florida, and also served to promote the new Edison radio, which had recently been introduced over the old man’s objections. Here are some of the most interesting excerpts. The first three selections are from Edison experimental mx. 185-A, the remainder from 185-B.